Skegness Miners Camp – 1962. See note below. Photo courtesy of Barbara Glossop (nee Sewell). Skegness Miner’s Camp in 1962. 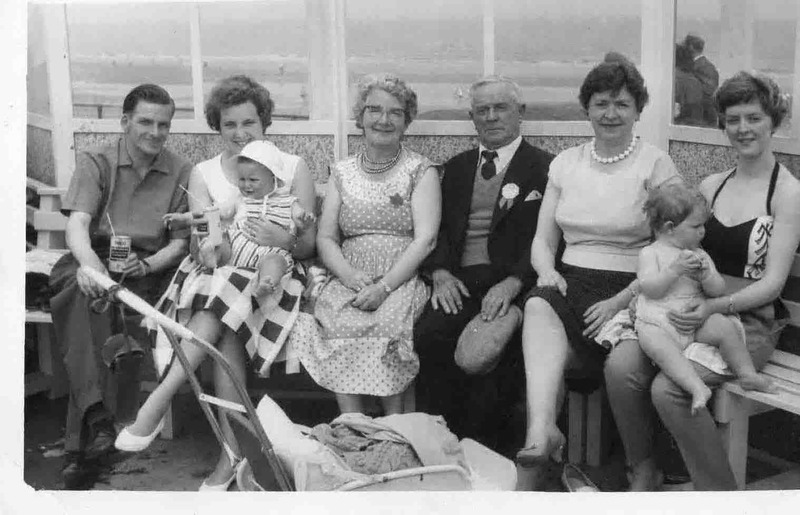 Brian Whewell, Sheila Whewell, Andrew Whewell (baby), Mrs Annie Whewell, -, Bertha Sewell, Barbara Glossop (nee Sewell), Paula Glossop (baby).